It is spring and I have a song in my heart and it is not, “A Bridge Over Troubled Water”. 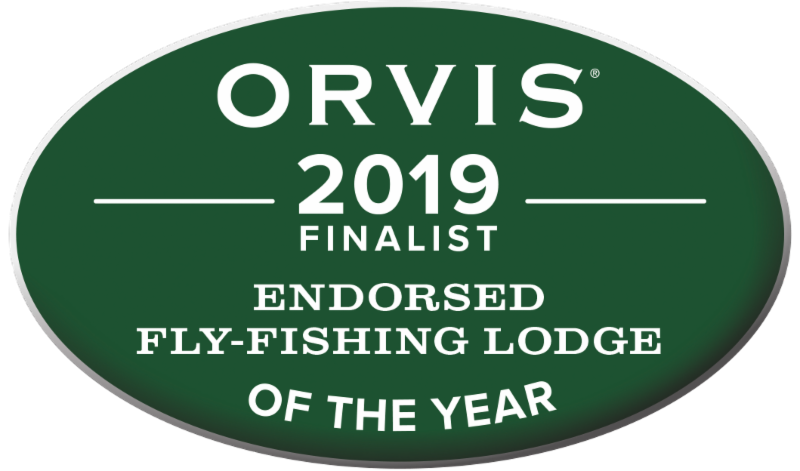 We are honored and grateful to be a finalist for the Orvis 2019 Fly Fishing Lodge of the Yearaward. I am thinking of Dean Martin singing, “Ain’t That A Kick in The Head”. Snowpack is good which bodes well for ever river in the state. The weather forecast is cool and wet translating to better fishing in August, September and October. We have robust bookings for the lodge and the Smith River. We are booked on the Smith for 2109 and already booking for trips in 2020. I have been an outfitter for 30 years and we are anticipating the best year ever. Oh, heart be still. Our banker greets us with warmth and smiles. This must be what acceptance feels like. Over the winter we remodeled two guest rooms adding hardwood floors, soundproofing, custom woodwork, more Restoration Hardware products and heated tiled floors in the reconfigured bathrooms. We are committed to improving Healing Waters Lodge and Lewis and Clark Expeditions every year. There is always something we can improve on. We believe staying static risks either slipping or someone else is gaining. To paraphrase Woody Allen, “A business is like a shark, it has to keep moving forward or it dies.” We don’t want a dead shark on our hands. 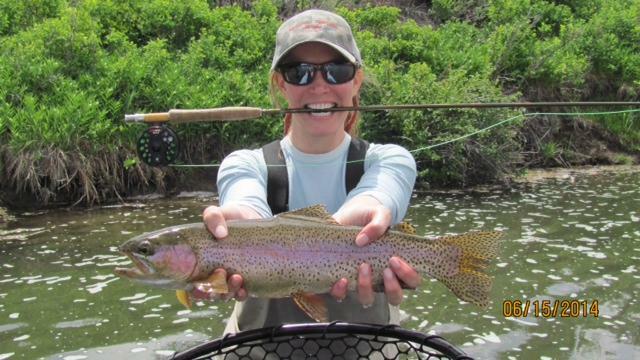 Brooke Herter James – Poet, fly fishing angler, wife, and mother to three extraordinary anglers. Brooke James’ poetry is deft, lyrical and poignant allowing me to see the world from a different angle. She also is generous in finding time for her husband, Dave, to go fly fishing with me, which I am very grateful. 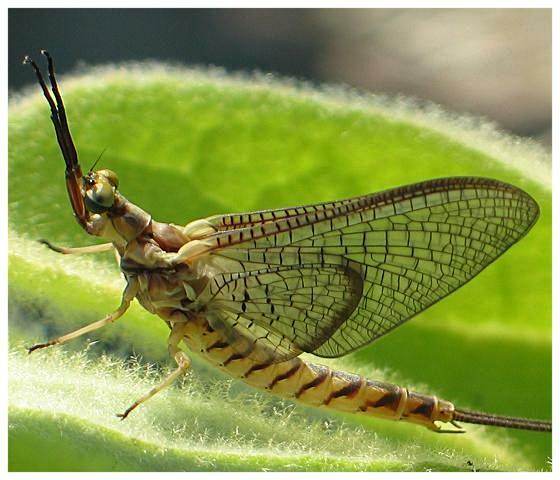 Let’s say a mayfly has one year to live. at the bottom of a wild cold river. And then on the 364th day she makes a break for it. I am gently enticing forth. For the surface! The light! on her tiny naked body for the first time. when she left the river bed just a minute ago. And then? I am now fully alert. Returning my pencil to its leather pouch. With any luck! My husband says. Rising in a breezy column of warm air. She has one glorious day of love. She falls, spent, to the river, lays her eggs and dies. Wow. I am quiet for the moment. the dark of the rocky bottom for that? as he flips the page and begins to read about caddis. Live and fish without fear. Fish with abandon, never fear the weather or anything that might inhabit a day of angling. The Big Hole River has plenty of water this year. Ace Guide and Interpreter of Streams and Rivers, T.J. Migneault and his friend (pictured) caught some really nice fish on April 5. T.J. declared the fishing decent which for me would be epic. 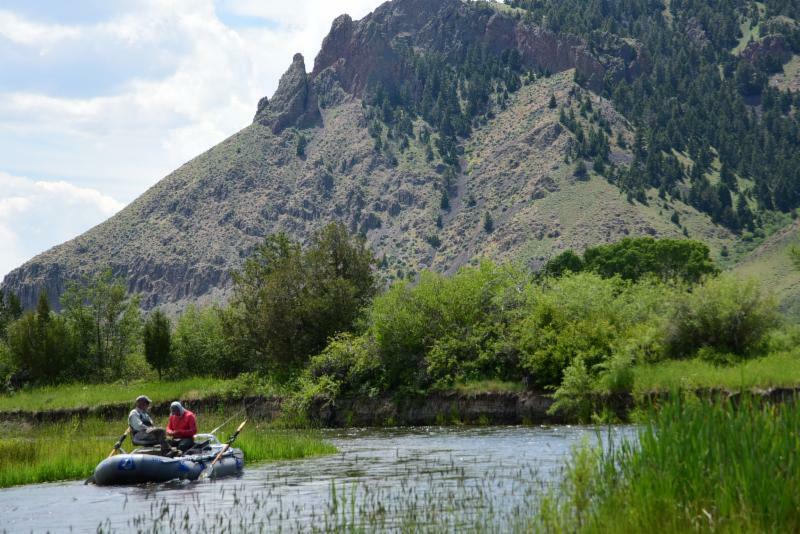 The Beaverhead River is about to be the river of big fish. With two good years of water (most importantly in the winter) the Beaverhead is poised to produce some of the biggest trout in the state. I kid you not there is something supernatural about this tailwater’s ability to breed large trout. Being at the right place at the right time has a lot to do with fishing success. Being on the Beaverhead this year puts you in the right place. This is also a great moment to think about a Healing Waters Lodge Father’s Day gift certificate. The Jefferson River. 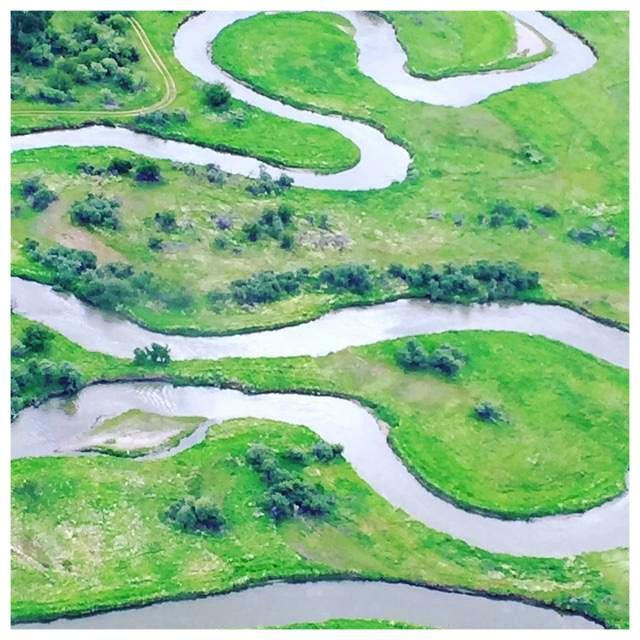 Every river has a personality. The Jefferson is whimsical with great days, good days and bad days. The bad days humble the best angler and the great days are the stuff memories are made. One of the virtues of the Jefferson is there aren’t the amount of boats that you will see on major rivers. This probably has more to do with the bad days when you can’t buy a fish. The Jefferson ends up a little on the side of high risk/high reward. 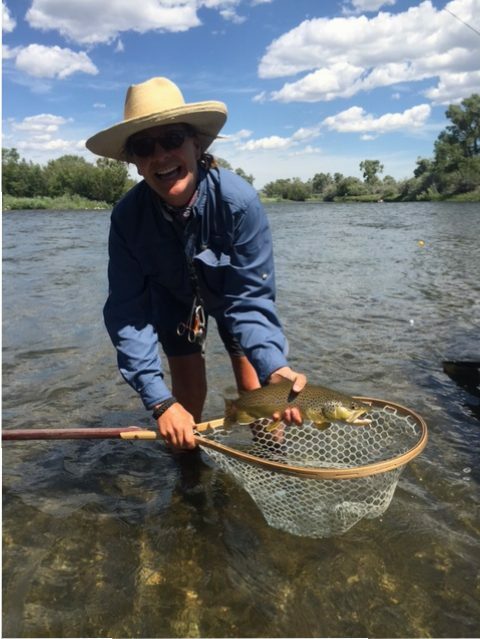 The Madison River is a bucket list river for every angler that has a fly rod. 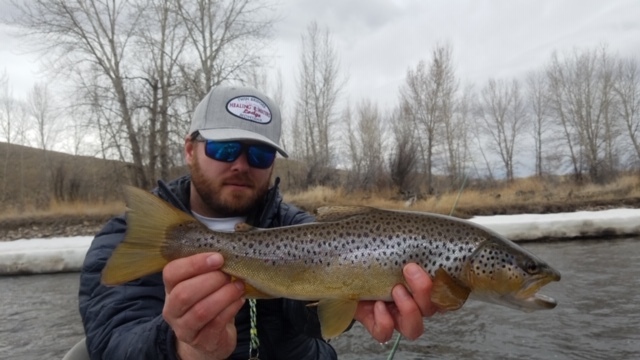 The Madison is a fifty mile riffle of fast water heightening the attention level of every angler with a fly, high hopes and a modicum of athletic ability. This river is the host to anglers coming from all over the globe to play in one classiest chess games around. The Ruby Valley is in the heart of Madison County. Madison County boasts 40,000 cows, 7,500 people and no traffic lights. For us, it is the perfect place to live. Healing Waters Lodge is in the middle of the Ruby Valley. There is so much good water here to fish with some streams and creeks you are retreating into Montana 40 years ago. Think about acquiring a Healing Waters Lodge Gift Certificate for Mother’s Day. There isn’t a fishing Mother alive that wouldn’t treasure a day on the Ruby River.